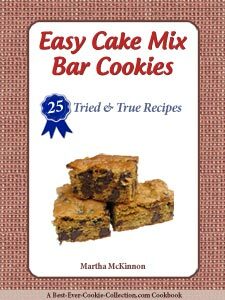 Easy cookie bar recipes are a natural simple solution for today's time-challenged cook -- since all the cookies are baked at once in a large pan and then cut into your desired size and shape you save the time of tending to multiple batches of cookies. 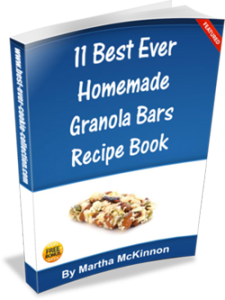 If you are like me, you love to make and serve recipes that are both delicious and nutritious. Here is one of our easy bar cookie recipes that is both yummy and packed with the nutritional goodness of pumpkin. Did you know that pumpkin is naturally low in calories and fat, as well as rich in fiber, vitamins, and minerals, especially potassium, vitamin A and beta carotene? In fact, pumpkin's rich orange color is the telltale sign of all its beta carotene goodness. With all that delicious goodness you'll want to serve these Pumpkin Cookies/Bars not just in the fall, but all year round. That's what makes these one of my favorite Pumpkin Bar Recipes. This trusted and easy pumpkin bars recipe produces a large pan of homemade bars that are moist and spicy but not overly sweet. Serve them dusted with confectioners' sugar or make them more special -- frost them with cream cheese frosting -- orange or plain. They make a great dessert or thoughtful hostess gift. As always, begin by reading through the pumpkin cookies/bars recipe to make sure you have everything you need and gather your ingredients. 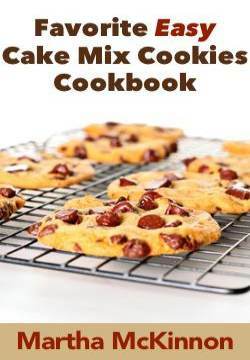 Mixing and baking is so much easier when you have everything within reach. To keep life simple, I always use canned pumpkin puree but if you prefer, feel free to peel, boil and mash fresh pumpkin. Just don't use canned pumpkin pie filling! And remember to smell your spices before you use them since they only have a 6-month shelf life. If they've lost their scent it means they've lost their flavor too, so you will want to replace them. I use half white flour and half white wheat flour or whole wheat pastry flour when making these yummy pumpkin bars but you can use all white flour if you want. Lightly grease a 10x15-inch jellyroll pan. Alternatively line your pan with parchment or greased foil. Beat together pumpkin puree, sugar, oil, eggs, vanilla, and salt in a large mixing bowl with either an electric mixer or whisk. Combine flour, baking powder, baking soda, and spice in a medium bowl with a whisk until well blended. Stir dry ingredients into the wet ingredients until just combined. You don't want to over mix the batter since this can make your pumpkin cookies/bars tough. Pour the pumpkin batter into the prepared pan and spread it out evenly. Bake for 25 to 30 minutes or until the sides begin to pull away and the top springs back when lightly touched. Cut into desired size bars -- small. medium, or super-sized -- it's your choice. This recipe makes one 10x15-inch pan of Pumpkin Bars. Once your pumpkin cookies/bars have cooled, you can sprinkle them with confectioners sugar or spread them with cream cheese frosting. I love both and tend to alternate between them depending on my mood. I think orange cream cheese frosted (tinted with a little orange food coloring) pumpkin bars decorated with candy pumpkins would make a fabulously fun halloween party dessert. In a medium bowl, beat cream cheese, butter, vanilla, and milk with an electric mixer until light and fluffy. Gradually beat in confectioner's sugar until desired consistency is achieved. In a medium bowl, beat cream cheese, butter, orange oil or orange extract, and milk with an electric mixer until light and fluffy. Are you looking for ways to help your pumpkin bars stand out from the crowd? Do you prefer pumpkin bars with fruit, nuts, or chocolate? Do you have applesauce but not pumpkin in your pantry? Substitute applesauce for the canned pumpkin puree. Add 1/2 cup chopped nuts and/or 1 cup raisins or dried cranberries. Stir in 1 - 2 cups of chocolate chips (I prefer the mini-chips for this recipe). Stir in 1 - 2 cups of chopped nuts. Stir in a combination of dried fruit and chopped nuts, such as raisins, walnuts, pecans, or dried cranberries. Just make sure to limit your additions to 1 - 2 cups total. Do you prefer pumpkin bars recipes that make smaller batches? Combine flour, pumpkin pie spice, baking powder and baking soda in a small bowl. In a large bowl, beat butter, granulated sugar and brown sugar with electric mixer until crumbly. Beat in pumpkin, carrots, eggs and egg whites until well mixed. Gradually beat in flour mixture just until combined. Spread pumpkin batter evenly into prepared pan. Beat 4 ounces softened light cream cheese (Neufchâtel), 1/4 cup granulated sugar and 1 tablespoon milk in small bowl until combined. Dollop top of pumpkin layer with teasponfuls of Cream Cheese Topping and swirl with spoon to marbelize. Bake for 25 to 30 minutes or until a wooden toothpick inserted in the center of bars comes out clean. Let pan cool completely on a wire rack. Cut into desired size bars. 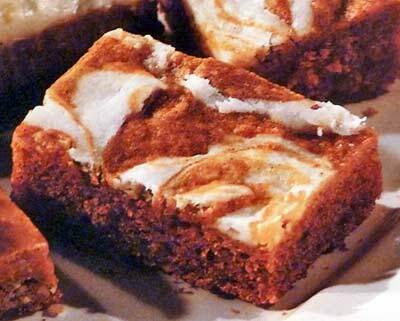 This recipe makes one 10x15-inch pan of Pumpkin Carrot Swirl Bars.